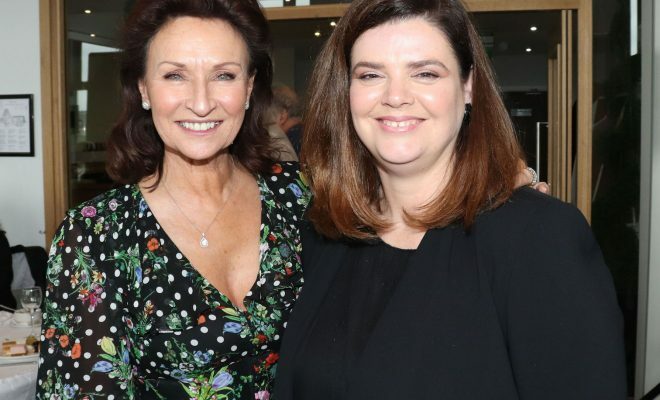 Pictured at the award ceremony for Limerick Person of the Year 2018 at the Clayton Hotel, Steamboat Quay, Limerick are Celia Holman Lee and Jayne Foley. Picture: Conor Owens/ilovelimerick. Calling all budding portrait artists to Kilmallock Road Campus! Irish model, fashion stylist and television presenter, Celia Holman Lee, will strike a pose for the Limerick Lifelong Learning Festival at the Further Education and Training Centre, Kilmallock Road, Limerick (formerly St. Enda’s School), on Thursday, April 11th from 11am-1.30pm. This is an opportunity for budding artists to participate in a portrait workshop at the Art studio in Kilmallock Road Campus run by Limerick and Clare Education and Training Board. Artists of all levels, from complete beginners to advanced, can participate in this fun event. This is the third time this event is being held. Last year it was TV Presenter, Producer, and Former Mr World Kamal Ibrahim and the year before Kieran O’Hanlon, former Mayor of Limerick posed for the session. The Festival is supported by a variety of partners coming together to promote learning for all ages throughout the region, culminating in a week of fun events and activities which are free & open to all. Celia said of the event, “I’m delighted to have the opportunity to take part in such a wonderful event that encourages lifelong learning. I believe we never stop learning and should always strive to learn and grow to the best of our abilities, so to be able to contribute in this small way is a great privilege”. Other events taking place that day include a lecture by historian Frank Noonan on the Irish revolutionary period, 1919-1921 starting at 11.30 am. At 1.30 pm, local social entrepreneurs will introduce the area of social enterprise and how you can become involved in a community business venture. Throughout the day, visitors and prospective learners will have the opportunity to visit information stands and hear about the courses on offer at the Centre. Earlier that week, on Tuesday, April 9, the Vocational Training Opportunities Scheme is putting on an intercultural day where you can experience the great diversity of cultures at Kilmallock Road Campus, with global food stands, tribal drumming and plenty of music on offer. The Lifelong Learning Festival running from April 8 -14 is the culmination of work by various partners in promoting learning for all ages throughout the Limerick region in what is promised to be a week of fun and engaging activities, which are free and open to everyone. To book your place or for more information contact jayne.foley@lcetb or telephone 061 578101.